When Armistice Day was inaugurated on 11 November 1919 in the grounds of Buckingham Palace by King George V, who asked his subjects at 1100 hours, "to cease activity, to stand with bowed heads and think of the fallen," there can be no doubt that staff at Rangers under the stewardship of William Wilton and Bill Struth would have loyally obeyed the command. The Great War had struck at the very heart of the Rangers family. Four Rangers players made the ultimate sacrifice fighting for King and country – David Murray, James Spiers, John Fleming and Walter Tull (who was the first black player to sign for the Club). As well as those on the playing staff, the sons of three directors – William Craig, Walter Crichton and William Danskin – would lose their lives in the conflict. The elder son of Founding Father Tom Vallance, Harold, was also killed in action as well as the step-son of Bill Struth himself, who was killed during the Battle of the Somme. As difficult a time as life was during the War, Rangers and Scottish football as a whole carried on with footballing hostilities as normal, despite the raft of young players who signed up to take the ‘King’s Shilling’ being lost to the game. David Mason writes in Mr. Struth: The Boss that, "At least twenty Rangers players left Ibrox to enlist, and a further fourteen joined up either before or after they became players at the Club. Among those who were famous for football exploits and served admirably through the conflict were Dr. Jimmy Paterson, Andy Cunningham, Jimmy Gordon, Willie Reid, Jimmy Spiers, Jimmy Galt, Tommy Muirhead, Finlay Speedie, Alex Bennett, George Livingstone and Sandy Archibald." 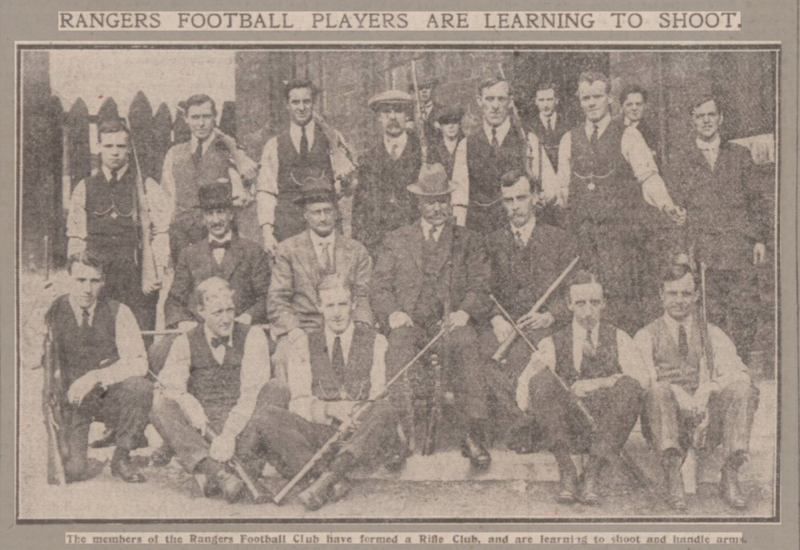 When the conflict was in it’s infancy, Rangers prepared their players for potential action by starting a Rifle Club, buying ammunition and training the players how to use firearms at the Parkhead Forge Rifle Club. As well as preparing them for action, Rangers also announced that if any player wished to enlist, they would continue to be paid by the Club, who would give them half of their wages. As well as ensuring that the club continued to honour wages due, William Wilton made it a personal effort to ensure that Rangers players on 'foreign service' received parcels from the Club, as well as sending 'greetings and cigarettes' to those players on home service. The war effort of Rangers Football Club was not only confined to it's own people. 175 footballs were sent to troops on foreign shores between March and July 1918, as well as dozens to soldiers stationed at Aldershot barracks. Rangers also gave up Ibrox itself to become a recruiting station, encouraging young men to join the 'Football Battalion' whilst paying for costs incurred in the recruitment process. Bill Struth and William Wilton, being too old to enlist to ‘fight the good fight’, offered to assist at the newly built wartime hospital in Bellahouston Park, Wilton as an administrator and Struth as a masseur. Conscious of his lack of qualifications in his role as a masseur, Struth undertook a training course in London to improve his usefulness to his new cause. Both men divided their time between their wartime duties and the continuing football season at Ibrox, which proved to be increasingly difficult. The massive contribution to Rangers and to the War effort was recognised by the Clubs directors, who voted in favour of a war bonus being awarded to each man. 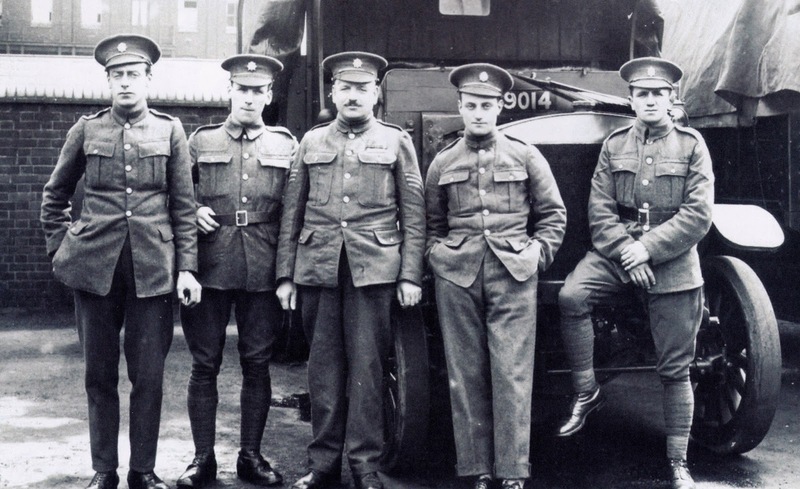 When Britain declared War on Germany in August 1914, the 1914/15 Season was 10 days old. The Government allowed the game in the country to continue, they saw football grounds and football crowds as prime recruitment opportunities – there was no conscription until the last year of the war. International games, however, were suspended, and the SFA decided to withdraw the Scottish Cup Competition for the duration. Season 1916/17 saw many of the darkest days of World War One, and football in many ways seemed less and less important. On active service were Rangers players Dr. James Paterson, Andy Cunningham, Jimmy Gordon and William Reid, leaving the club to find youngsters to fill out the team. 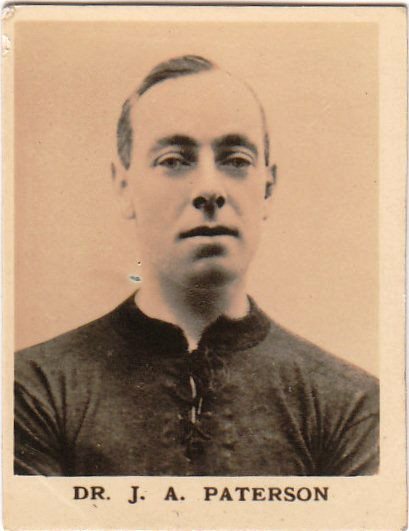 Born in London but brought up in Glasgow, Paterson was on the books of both Rangers and Queen's Park as an amateur, whilst training as a doctor. 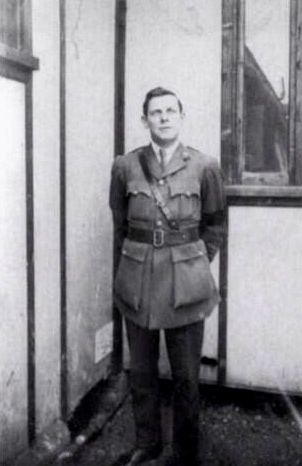 With the outbreak of World War I he joined the London Scottish Regiment and served as a medical officer, winning the Military Cross for his bravery in action in France. Thankfully after the war ended, he returned to the club, and played 36 games in the Title Triumph of 1919/20 season, scoring 11 goals. 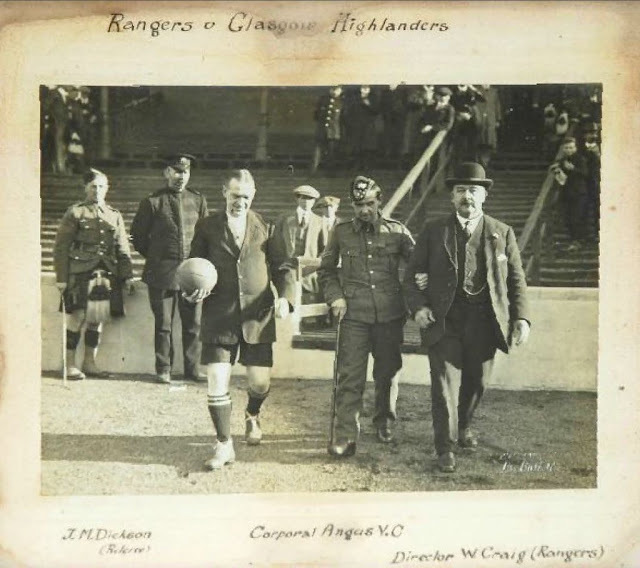 Other Rangers players who served with distinction during the Great War included Fred Gray, 2nd Lieutenant, 9th Battalion, Cameronians (Scottish Rifles) who was awarded the Military Cross, Finlay Speedie and James Spiers were awarded the Military Medal and Jock Buchanan the Distinguished Conduct Medal. Sadly, with war comes death and despair, and World War One saw four men who had played for Rangers make the ultimate sacrifice for King and Country. Sadly, any trace of David Murray seems to have been buried with him. He was killed in action on 6th October 1915, and is buried at Lapugny Military Cemetery in France. A striker who played for Rangers between 1905 and 1908, he played 62 games scoring 29 goals. He went on to play for Clyde, Bradford and Leeds before retiring from the game in 1915. He enlisted to his regiment upon 'retiring' from football despite him not being required to do so, his two sons making him exempt from the nationwide conscription. Winning the Military Medal for his deeds at the second Battle of the Arras, he was promoted to Sergeant and shipped into the Battle of Passchendeale which was well underway. Before going over the top, he wrote a letter to his wife informing her that his men would be 'going over the parapet tomorrow.' On 20th August 1917, James Spiers was killed in action a few hours after writing that letter and is buried at Dochy Farm New British Cemetery, Zonnebeke, 7 miles north east of Ypres, Belgium. Fleming played for 4 games for Rangers in the 1915/16 Season, scoring 1 goal v Queens Park at Hampden in a 6-0 victory. He died of injuries received during the Battle of Langemarck, at Richmond Camp in Yorkshire, and is buried at Inveresk Parish Church, Midlothian. Alex Barrie played 14 times for Rangers during the 1907/08 Season, scoring 1 goal v Hearts in a 2-1 victory at Ibrox. He was killed in action on 1st October 1918 and is buried at Flesquieres Hill British Cemetery North, France.